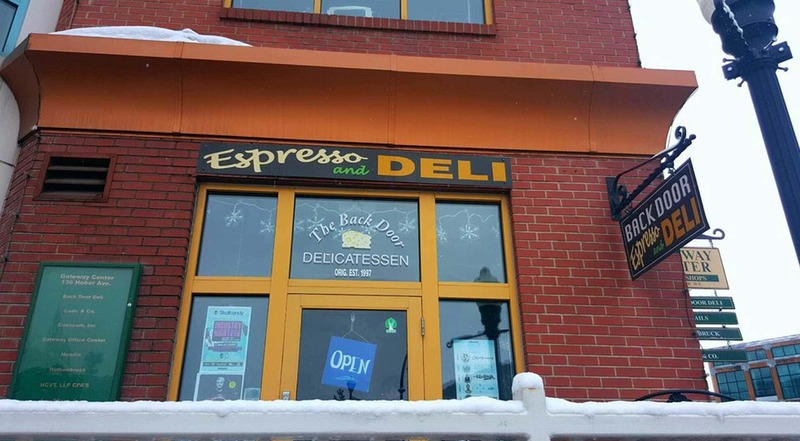 Originally established in 1997 in Jackson Hole, Wyoming, The Back Door Delicatessen is now located just minutes from the slopes of Park City Mountain Resort on Heber Avenue in historic Park City, Utah. Our famous 50+ sandwich menu, along with tasty salads and daily soup offerings, are made fresh from only the best ingredients. Stop in and enjoy one of our 50+ sandwiches including 10 vegetarian options. We offer both traditional deli fare and unique favorites like the #21, the #12 and the #48. We feature breads from both local bakeries and Boudin's of San Francisco. We also offer numerous salads made with organic greens and various side salads and soups made daily.Need a Mocha fix? We have a complete espresso menu too.Eat in or take out—lunch for one or lunch for 20—come on down to The Back Door!